On September 26, Eve: Valkyrie is changing. 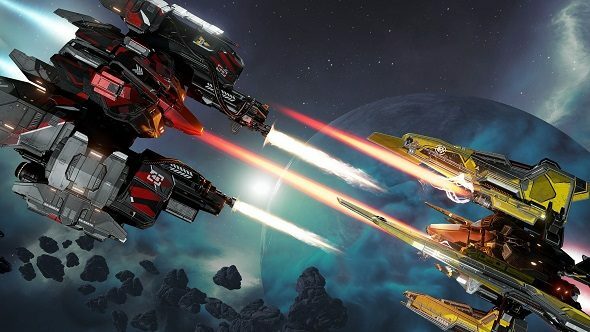 Its Warzone expansion is the largest update developers CCP will have ever released for their space dogfighting sim, overhauling game systems, reworking progression, adding new ships and maps, and even opening up the VR game for those without a headset, thus populating it with fresh players to disintegrate into space dust. It’s not about adding more for the sake of it, however – Warzone is just as much about stripping things back and ensuring each ship performs a specific function. Check our list of the best space games for more battles among the stars. Rather than having all these visually distinct but functionally similar ships, the team decided to condense it down and highlight ship roles. 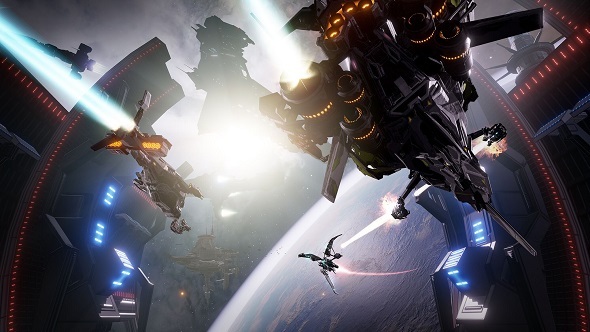 When Warzone releases, Eve: Valkyrie essentially turns into a spacefaring hero shooter – Overwatch at lightspeed; a team-based FPS where there’s no up or down. Warzone adds an entire fleet of these class ships – four assault, four support, and four heavy – each with its own range of abilities and a unique ‘ultra’ ability. If you’re thinking of Overwatch’s ultimate abilities, you’re not far off – they charge through the course of a fight and they’re potentially game-changing if deployed properly. To get to grips with the new stuff, there’s an all-new Flight School, which is a reworked tutorial area that will allow you to train without consequence and discover the intricacies of each class. You’ll want to head back there and train, too, since you can customise your ships to suit your playstyle. In total, there are 12 of these modifications. They’re not about min-maxing, instead they’re used for pushing your ship in areas where you excel. In other words, you can’t change a ship’s class, but you can make a sniper ship great at running away, or modify a shotgun ship to close range as quickly as possible. If you’re more into tinkering with the look of your ship, however, new loot capsules will scratch that itch, letting you pop open containers and unlock vinyls and paint for your craft, new pilot outfits, XP boosts, and even in-game currency to buy more of them. Again, imagine Overwatch in a snug space suit. 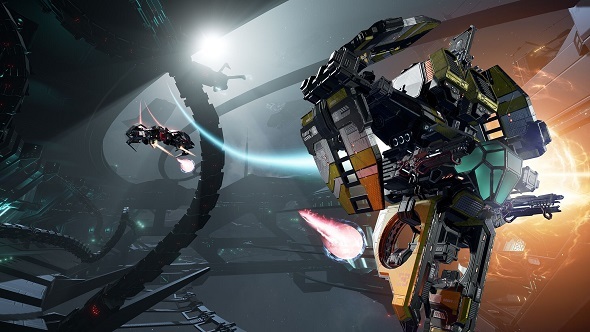 Once it’s out in the wild, Eve: Valkyrie’s meta will undergo a seismic shift. People will begin to settle into roles, and certain ships will rise to the top. It’ll be interesting to see who becomes the Hanzo main of the Eve-verse. Perhaps it’ll be the new Covert class, a ship capable of turning invisible for short bursts. Of course, whatever happens, CCP will be on hand to react.